Meet our delicious handmade, gluten free, solid, pure chocolate Easter bunnies. 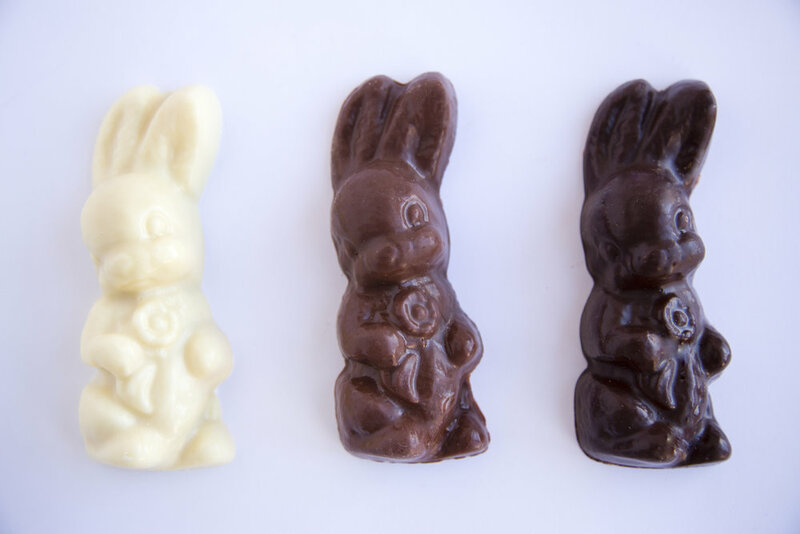 With no color additives our bunnies are available in Dark, Milk or White Chocolate. Grab one now before they all escape, cos every bunny needs some bunny, sometimes!